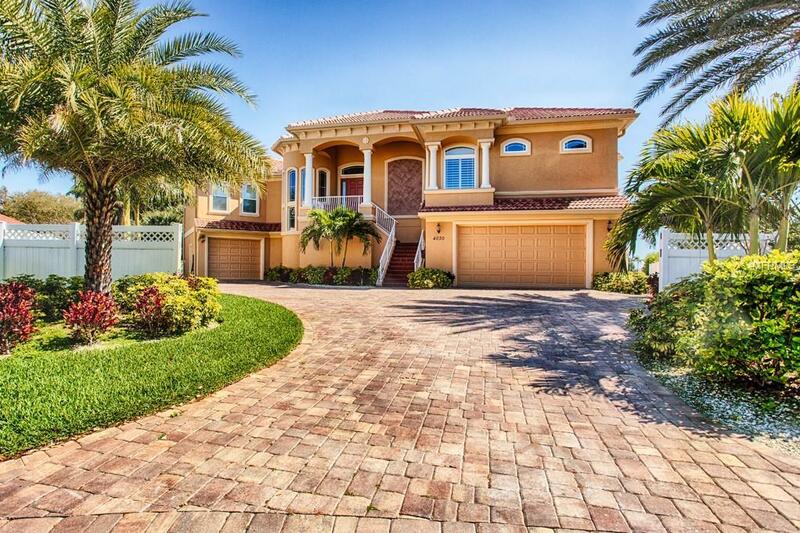 RESTING ON A QUIET CUL DE SAC & BEAUTIFULLY BUILT WITH EXCEPTIONAL ATTENTION TO DETAIL, THIS SUPERB COASTAL CONTEMPORARY WATERFRONT RESIDENCE HAS IT ALL! Lush landscaping, elegant exterior finishes & stately cast stone columns welcome you to a home with towering 12 14ft ceilings, 4 bedrooms, 4 baths and an amazing 9426 total sqft under roof. 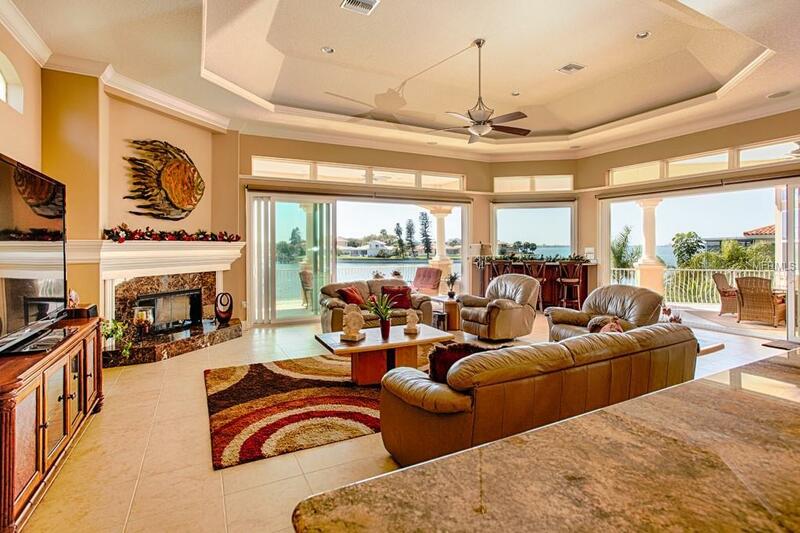 Graceful entry foyer opens to a lavish cherry/granite wet bar and a massive great room overlooking the water. 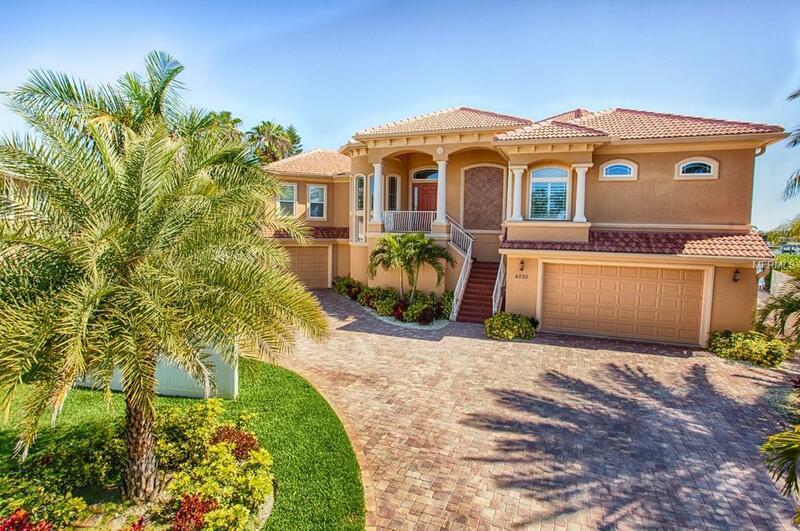 Youll love the gorgeous tray & contoured ceilings and wonderful crown woodworking throughout. 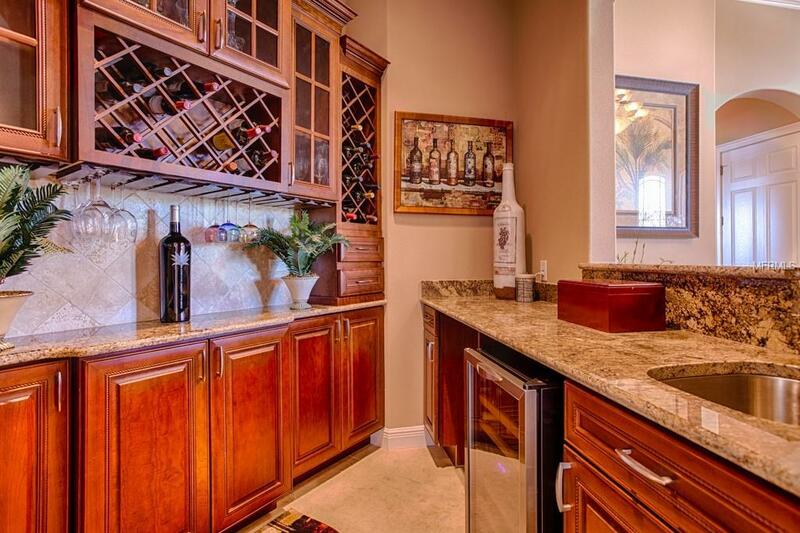 The huge kitchen features hi-end SS appliances, exquisite cherry cabinetry, fine granite counters, icemaker, beverage chiller and a stunning multi-level breakfast bar that seats 8. Stunning great room w/dazzling gas fireplace opens to a luxurious 750sqft covered deck with sweeping panoramic views of open water and access to a posh, full size pool bath. Large master suite boasts beautiful waterviews, private access to balcony & grand walk-in closet with system. All bedrooms are spacious and all baths offer exquisite finishes. Out back and overlooking your wide waterfront, discover a spacious covered brick paver deck that transitions to a fabulous pool, hot tub & sun shelf. Newer seawall and exceptional composite dock and 16K lb boat lift. Extra wide bunks. Direct drive motors. Enormous lower level area, gorgeous elevator, finely appointed laundry and numerous amenities. Immediate access to big open water, this is a fantastic value in a terrific location.